Mobile technology has become a centerpiece of advertising for businesses of all kinds. However, as it’s still a relatively new area for marketing, many companies are still struggling with the basics of putting together a successful campaign. They stay relevant. With the fast, ever-changing nature of mobile technology, it’s important that your mobile marketing campaign is relevant, both in terms of the technology you’re using and the content that your campaign contains. You need to constantly update any apps you have, and keep your mobile pages properly optimized for mobile searches in order to achieve the best results possible. They put mobile technology first. The most successful mobile marketing campaigns are put together by companies that realize that mobile technology should be at the center of their efforts. After all, mobile devices are always on, and always with their owners. This gives you a unique chance to be in constant communication with your customers. If you can succeed in giving your customers a reason to want to be constantly connected with your business through mobile technology, you are able to give yourself a major leg up over your competition. They do something new. Take app development, for example. 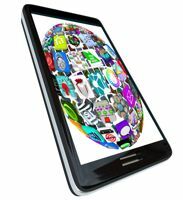 There are a tremendous amount of apps available on the mobile marketplace. If you really want to make a splash, you need to give your targets a reason to download your app in particular. Do something new and exciting that makes your app stand out from the rest of the market. This goes for all mobile strategies. They track the competition. Keep up to date with what the leaders in your field are doing with mobile marketing, and see how you can employ some of their best strategies in your own campaign. Obviously different tactics work for different companies, but you might be able to find some inspiration among your competitors. These are just a few of the many traits that embody a successful mobile marketing campaign, but these should give you a good head start. Contact us at Engelbrecht Advertising today to learn more about how to develop the right mobile marketing strategy for your business.